Have you ever wondered how Internet blackjack actually works? 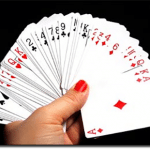 The dealing, the shuffling, results from hand to hand – what’s the secret behind it all? There is an awful lot of coding and computation involved across the board, to be sure, but the driving force behind any online casino is Random Number Generation. 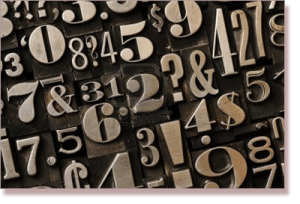 What is Random Number Generation? A Random Number Generator (RNG) is a device designed to produce a series of outcomes completely devoid of pattern or predictability. It can be physical or computational, and can be used with any set of numbers or symbols. Cryptography, statistical sampling, and computer simulation all rely heavily on RNGs – as does gambling. There are two key approaches to Random Number Generation: the physical method and the computational method. A physical RNG is one that sees people manually produce a series of unbiased results. Many casino games are physical RNGs in and of themselves – for instance, the roll of the dice in craps and the spin of a roulette spin are both completely random events. A computational RNG uses various formulae and/or algorithms to produce unpredictable outcomes in a digital format. This is the kind used in online blackjack, as well as the computer simulations used for testing strategies and betting systems in 21, and other casino games. The mathematical detail required to give this question its full and proper answer would blow many minds right out of their owners’ skulls (ours included). There are so many different uses for an RNG, and so many different ways in which it can be triggered. However, when it comes to determining the cards dealt in online blackjack, there are a few things that happen universally. Imagine a digital clock with all the numbers in every position changing rapidly and constantly – rather like a slot machine (which also uses Random Number Generation), just after you have pulled the lever. Each individual number represents a card, or a possible combination of cards. Whenever you push the ‘deal’ button to start a hand in online 21, the code that appears on the clock-face at the precise moment you clicked/pressed that button, determines what cards will come up. There are two types of computational Random Number Generator. The first is known as a ‘true RNG’ or ‘genuine RNG’, where representations of naturally occurring randomness (such as atmospheric noise), are programmed in to ensure each result is arrived at via a unique pathway. These systems can be used for many and diverse purposes, including experimentation in atomic theory and quantum physics. The second kind is called a ‘pseudo RNG’ (PRNG), which uses algorithms to produce lengthy sequences, by connecting an initial value, known as a ‘seed’ or ‘key’, to a group of numbers. The term pseudo-random is used because while each individual result may indeed be unpredictable, the same mathematical formula is used to determine each outcome – so the process itself is repetitive, rather than constantly mutating to mimic nature as a true RNG does. Almost every online casino runs on PRNGs. This is largely down to operating costs, as genuine RNG systems can be incredibly expensive. Another factor is that what makes pseudo programs not-quite-officially-random, also makes them very reliable for practical use compared to other methods – a good PRNG formula is hugely consistent in its unpredictability, so to speak. 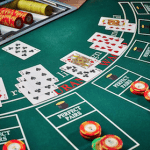 In order to gain an operating license, Web casinos are typically required to submit their Random Number Generators to an independent third party for certification. This consists of extensive game-testing, statistical analysis and evaluation of source codes, entropy and all that other nerdy stuff. Only after an RNG ticks all those boxes will it be certified as sufficiently random for fair use in Internet gaming. Most online casinos will have information about their software and licensing available for the public to see on their websites.